So I’m supposed to talk about myself in the 3rd person… creepy… Bloody Rich, [aka Richard Hutchins] is a drummer/percussionist in the Bushwick section of Brooklyn. His first instrument was violin, which he played for over 4 years as a member of his school orchestra. He studied violin, piano, & recorder at the Settlement Music School in Philadelphia, and took private violin & theory lessons until around age 10. Around age 12, he became interested in creating his own music. Richard took guitar lessons and then a few bass lessons, and spent all his free time jamming with his friends. At one jam, Richard sat down at a drum kit that belonged to the singer’s brother, & started playing a beat & simple rolls. From that moment on, Richard knew his purpose in life was to play drums. Richard has performed with many bands over the last 40 years, including Ruin…, Live Skull, Of Cabbages and Kings, Lubricated Goat, and the Hungry March Band. 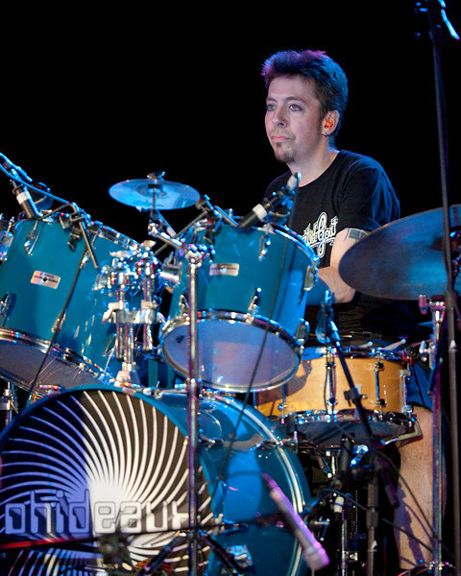 Besides PHIDEAUX, Richard currently performs with ART GRAY NOIZZ QUINTET, SHILPA RAY, and various other bands around New York.